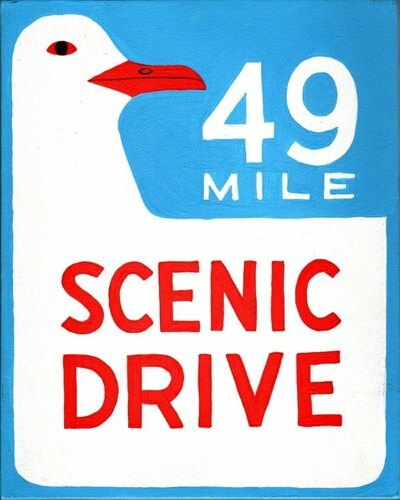 Follow the classic seagull signs past some of the city’s most popular and significant attractions, which was the intention when the loop was introduced back in 1938. 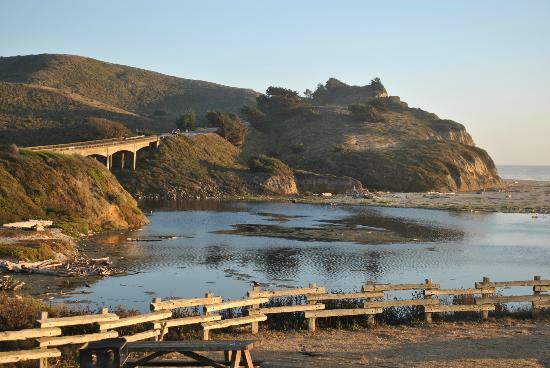 From Japantown to Chinatown, Embarcadero to SOMA, North Beach to Fisherman’s Wharf, Presidio to Golden Gate Park, the 49-mile drive is a great way to the see the sights from the comfort of your car, or to introduce the city to out-of-town relatives. Yes, it’s an interstate. But drive along this 50-mile stretch of highway in the afternoon as the fog is rolling over the Santa Cruz mountains, and you’ll be tempted to pull off into one of two vista points along the way. 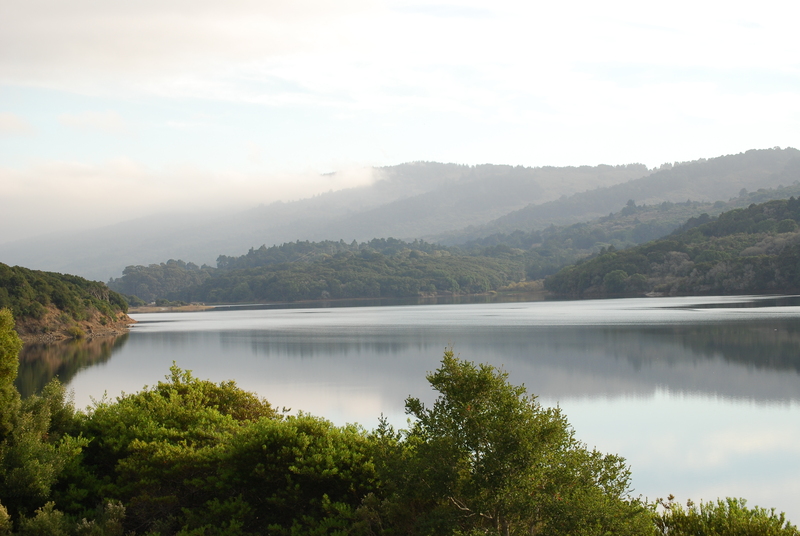 At certain stretches, you can catch a glimpse of the bay, as well as lovely views of the Crystal Springs Reservoir near Hwy 92. What you won’t see is a billboard, or fast food joint, or any other signs that an urban snarl is just over the hill – nothing but open and unspoiled land (thanks Peninsula Open Space Trust, and others). But don’t take my word for it, the Junipero Serra Freeway has been designated as the World’s Most Beautiful Freeway (check the plaque in Daly City). If that’s not enough, Yelpers gave it 4.5 stars! From Hwy 24, take the Fish Ranch Rd exit, then turn right on Grizzly Peak Blvd and follow it along where the Berkeley Hills meets Tilden Regional Park. The road winds through parts of Tilden Park and the bordering neighborhood, overlooking Berkeley, San Francisco and the bay. 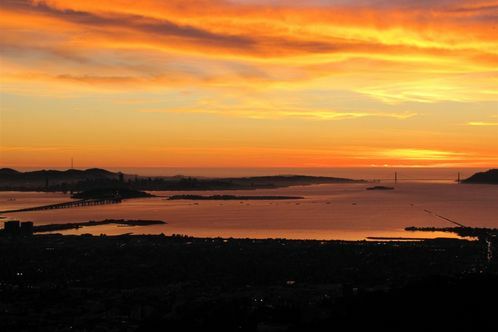 The views at sunset are some of the most striking in the Bay Area. You also get a flavor of the lovely tree-filled Berkeley Hills and its quaint bungalows. Start at the crossroads with Hwy 92 and head south. 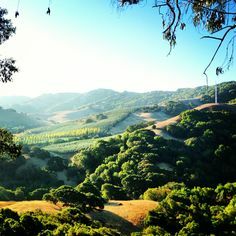 Skyline Boulevard runs along the spine of the Santa Cruz Mountains, alternating between towering stands of coastal redwoods and open stretches that offer excellent views both east and west. There’s great hiking trails along the road too – just pull over and park at the trailheads and off you go. (Again, props to the Peninsula Open Space Trust.) The roads here are popular on the weekends with bikers and cyclers, and you’ll find them gathering at Alice’s restaurant, a mountain-top diner with plenty of picnic tables and lawn space for soaking up the afternoon. It’s not quite as magnificent, or death-defying, as the stretch farther south in Big Sur, but the gently rolling coastline of bluffs and beaches, and almost zero development, is a great drive for unspoiled ocean views. Stop at one of several beaches along the road (San Gregorio State Beach is especially nice and seems to get less fog than its neighbor beaches), or at one of several quaint sea-side towns, including Half Moon Bay, San Gregorio, Pescadero and Davenport. We started out from Petaluma with temps in the 90s, making our way through the rolling hills and valleys of Marin County, and by the time we arrived at Pt. Reyes Station we needed jackets. It’s incredibly scenic through the undulating hills and open spaces, a few farm houses set idyllically here and there. Near Pt. Reyes, the road bisects the sun-splashed Nicasio Reservoir, with various waterfowl splashing about, then continues into the town itself where it meets up with Hwy 1. If you’ve come to Pt. Reyes from Petaluma Rd, loop back to Hwy 101 on Sir Francis Drake through Fairfax and San Anselmo. 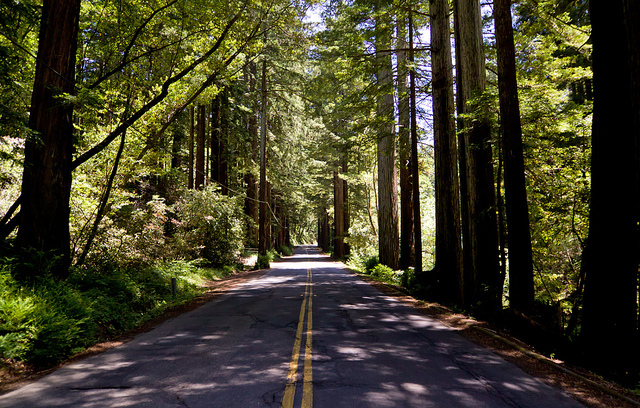 The road cuts through Samuel P. Taylor State Park, where you’re enshrouded in a forest of towering coastal redwoods. After leaving the park, there’s a view of the valley as you descend along one stretch that’s so spectacular that people often pull over to gaze, snap photos or even paint. Stop at a roadside market in Lagunitas, or check in at the peaceful Spirit Rock Meditation Center and walk the grounds. The roads in Sonoma and Napa are quite scenic, a little slice of Tuscany in California with all the rolling hills and vineyards. But the traffic can be heavy at times, especially with the weekend tourist migration. Hwy 29 is the main thoroughfare through Napa Valley, but running parallel just to the east is Silverado Trail. 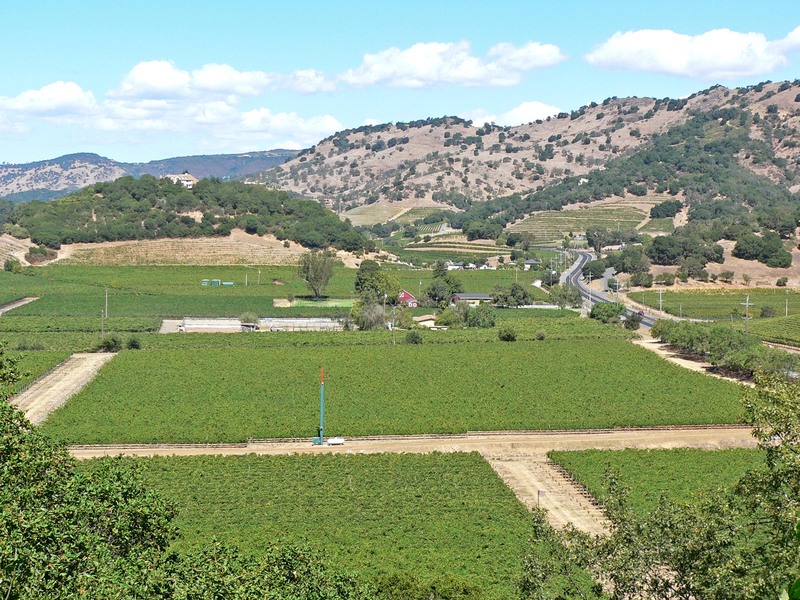 It’s a two-lane road, but a more elevated and scenic alternative, offering better views of the valley and its sprawling vineyards. Drive up to Santa Rosa on Hwy 101, turn left and continue 10 or so miles until you’re in the thick of Sonoma County wineries, then pick a highway and drive. There’s Occidental Rd, or Bohemian Hwy, or Green Valley Rd, or Bodega Hwy. The roads meander and intersect at spots, with signposts pointing in all directions to this winery or that. It’s one of the more rustic drives in the Bay Area, and has inspired more than one city dweller to check the local real estate listings.